Hugely enjoyable mix of brutal putdowns and richly funny stories, has what it takes to delight any crowd. 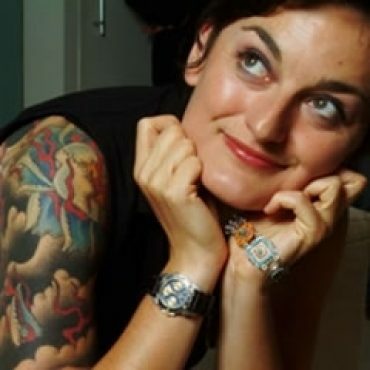 - The Guardian Zoe Lyons kicked off her comedy career back in 2003 whist at the Poor School in London whist training to be an actress. Zoe then went on to win the Funny Women Competition in 2004. Her first show at the Edinburgh Fringe Festival was also nominated for the If. Comedy newcomer award. To add to the list of achievements, in 2008 she won the title of Dave’s Funniest Joke of the Fringe Award. 2018/2019 sees Zoe hit the road with a nationwide tour. Hugely enjoyable mix of brutal putdowns and richly funny stories, has what it takes to delight any crowd. The comedy night with Zoe was the highlight of our Wellbeing Week. She was Fantastic, funny and engaged with audience. We have had excellent feedback from Attendees, and we would recommend her in a heartbeat! "Flexible, professional, punctual, with an acute understanding of the client’s needs and, of course, incredibly funny"